Centuries after The Age of Exploration, intrepid European vintners continue to journey beyond their borders. When Europeans first set out for the New World, grapevines weren’t far behind. Driven by religion and ­radition, vines found their way to the Americas with the Spanish, British and French; to South Africa with the Dutch; and to Australia and New Zealand with the British. The next big wave of ­European vinous expansion didn’t occur until the late 20th century. The Champagne houses brought us Domaine Carneros (Taittinger), Domaine Chandon, Mumm Napa and Roederer Estate. Another early arrival was ­Baron Philippe de Rothschild, whose joint venture with Robert Mondavi at Opus One began in 1979. Dominus Estate, originally a French-American project, became wholly Moueix-owned in 1995. The Perrin family of Château de Beaucastel started Tablas Creek with the Haas family of Vineyard Brands in 1987. More recent arrivals include French winemaking consultants Philippe Melka, Luc Morlet, and Denis and May-Britt Malbec. 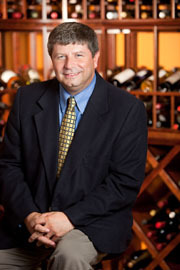 It also includes players like Burgundy’s Jean-Charles Boisset, who purchased Raymond in 2009. Tired of Napa Cabernet? Head south to Paso Robles, where Burgundy-trained Stephan Asseo purchased property in 1997 for L’Aventure. The Fabre family’s Clos Solène dates to 2007. To Napa’s north, Domaine Drouhin Oregon was first made in 1988. Maison Louis Jadot purchased the Resonance Vineyard in 2013. In Walla Walla, Christophe Baron bought 10 acres of stones in 1997. He’s been making Cayuse’s acclaimed Syrah there ever since. Rhône-based Philippe Cambie and Michel Gassier just started a Washington joint venture with Ste. Michelle Wine Estates called Tenet. German Ernst Loosen’s Riesling-powered joint ­venture with Ste. Michelle, Eroica, is ­entering its 17th year. Riesling is also the focus of Johannes Selbach’s Finger Lakes (New York) joint venture with Paul Hobbs. Forge Cellars, owned by a trio that includes Louis Barruol of Saint-Cosme in Gigondas, also makes Pinot Noir. In South America, Michel Rolland and Alberto Antonini have been taken with the potential of Mendoza, in Argentina. Spain’s Torres family is in Chile, while both branches of the Rothschild family are there as well. 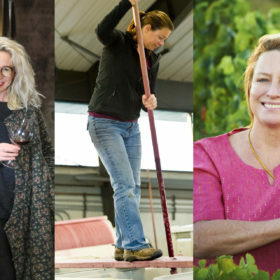 New Zealand’s European influences include Swiss (Hans Herzog), French (the Bourgeois family’s Clos Henri), English (Nigel Greening’s Felton Road) and Italian (the Antinori brothers’ Mount Nelson). In 2000, Jacques Lurton ­established Islander Estate Vineyards on Australia’s Kangaroo Island. Michel Chapoutier has had a series of joint ventures in inland Victoria since 1998, and launched his own label, Tournon, in 2009. The European emigration to the New World continues, propelled by ego, economic advancement and freedom from bureaucracy. Most importantly, this recent wave of immigrants is yielding delicious results. California | Clos Solène 2013 Harmonie (Paso Robles); $85, 95 points. A powerful, complex blend of Grenache, Syrah and Mourvèdre. Oregon | Résonance 2013 Résonance Vineyard Pinot Noir (Yamhill-Carlton District); $65, 94 points. The stunning debut from legendary Jadot winemaker Jacques Lardière. Washington | Tenet 2013 GSM (Columbia Valley); $70, 93 points. Winemakers Bob Bertheau, Philippe Cambie and Michel Gassier hit their first vintage out of the park. Argentina | Altos Las Hormigas 2012 Appellation Malbec (Vista Flores); $40, 91 points. Italian consultant Alberto Antonini’s complex Malbec from Mendoza’s Uco Valley. Chile | Miguel Torres 2012 Cordillera Chardonnay (Limarí Valley); $23, 90 points. A rare, ageworthy Chardonnay from an emerging cool, coastal region. Australia | Domaine Terlato & Chapoutier 2010 Lieu Dit Malakoff Shiraz (Pyrenees); $48, 90 points. Chapoutier’s Rhône heritage shows in this wine’s espresso and black olive notes. New Zealand | Clos Henri 2013 Sauvignon Blanc (Marlborough); $25, 92 points. Although the 2014 has already been released, look for this silkier, more complete version.